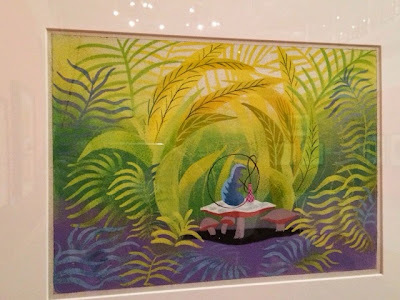 I had a chance to visit the Disney Family Museum and Mary Blair exhibit a couple weeks ago on a midweek afternoon in San Francisco. It was a great day, and I really enjoyed my experience there. 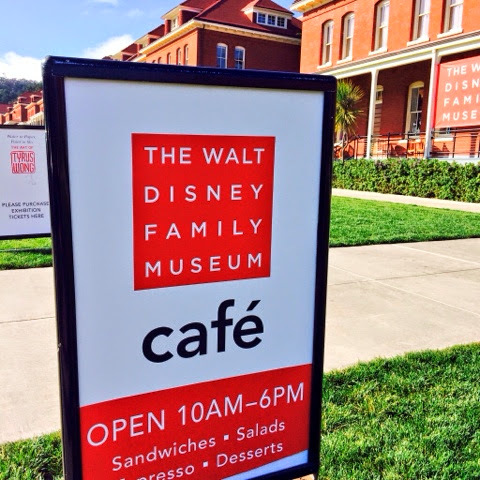 The Disney Family Museum is located in the Presidio of San Francisco, very close to the Golden Gate Bridge and in the same area as the Industrial Light & Magic Buildings. This makes it super easy for Marin folks coming over the bridge. There is free parking in front and behind the buildings. If you've been to Cavallo Point and had breakfast on their front porch with a view of the Golden gate Bridge, the Disney Museum offers a very similar porch with view out towards San Francisco. 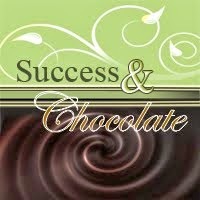 Their café offers food and treats as well as espresso coffee drinks that you can take out on the patio or eat inside. 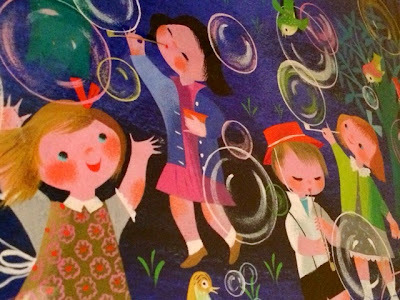 If you plan to go to see both the museum and the Mary Blair exhibit, you will need several hours. 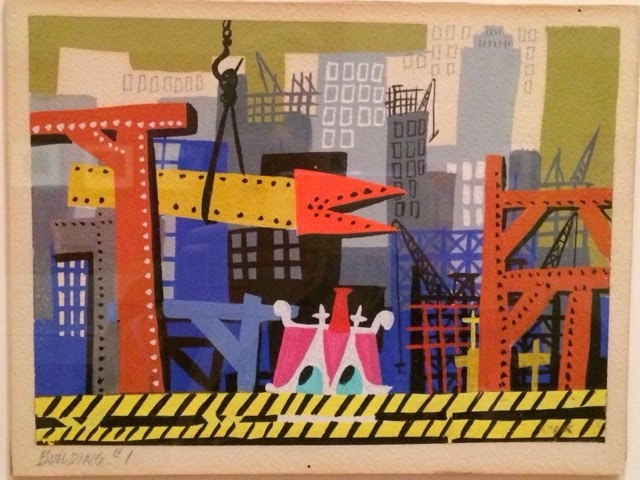 If you plan to just see Mary Blair exhibit, you could probably be in and out in just one hour if you go alone, but you may want longer to enjoy a coffee and lunch at the main museum cafe. 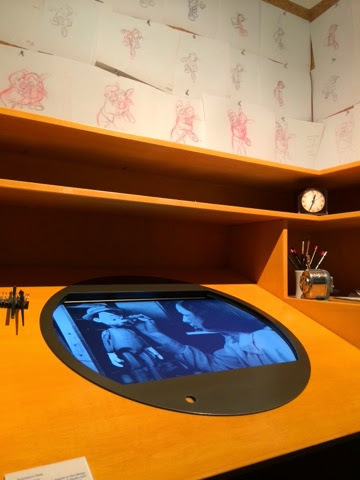 The Disney Family Museum has several interactive exhibits and listening stations, so that takes a couple hours at least, although I would plan for 3 hours to fully appreciate, watch, read and interact with all that's inside, and maybe another hour for food an the gift shop. The shop is not your typical Disney World shop, and has art and gifts that feature many local artists and jewelers. This was my third visit to the Museum, and it has a lot to offer, including classes and lectures. 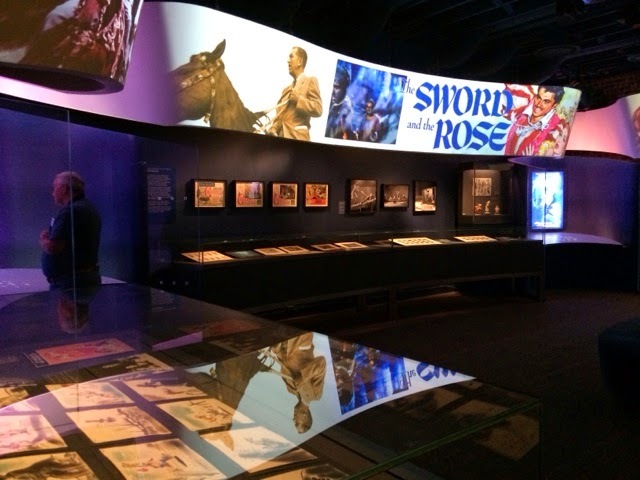 To learn more, please visit the full website for The Disney Family Museum of San Francisco. In general you will learn a lot about Walt Disney himself. 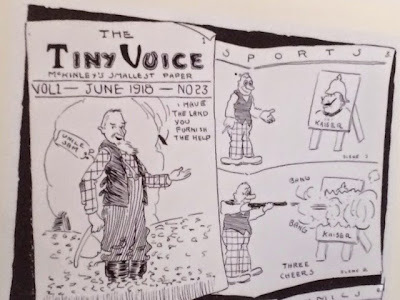 His full genealogy and how his family came to the US and owned a farm, and how he started cartoon drawing and learned animation and story telling as a young man. He created his own animation company, which eventually led to the creation of Mickey Mouse. 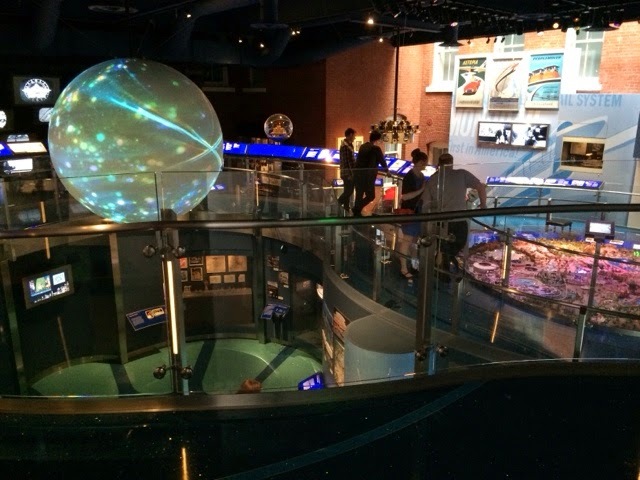 The process of bringing you through his life story is very well laid out within the museum, and you will get an enjoyable amount of learning from just walking through and listening to the headsets and videos. Some really fun things are all of the vintage Mickey Mouse club items, hats and swag they mailed to kids back in this 60s and 70s who watched the show on TV. I do remember this Mickey Mouse Club, and have fond memories of visiting Disney with my family as a child, although I think the experience has changed for me as an adult. 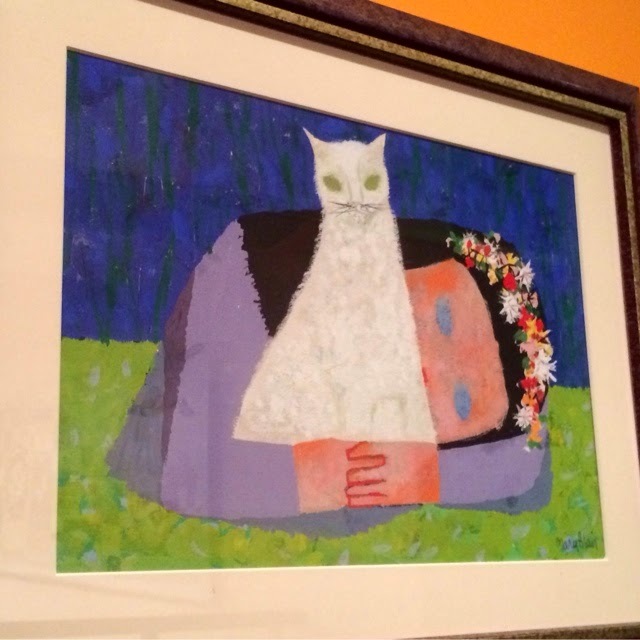 The great thing about this museum is that you won't have to wait in any lines and will be able to experience it all at your own pace. The early days of animation segregated male animators from women cel painters. You will learn about this, and actually hear the women speak about what it was like to work there through the video headsets. 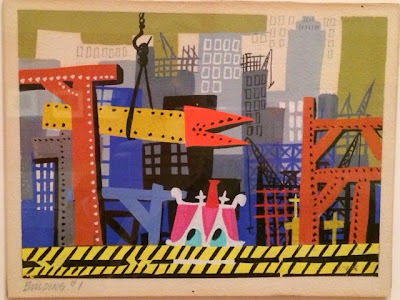 It was interesting to learn that they really enjoyed the work and liked being separate from the men, and at lunch time, they would get to join together and co-mingle. Times have certainly changed. 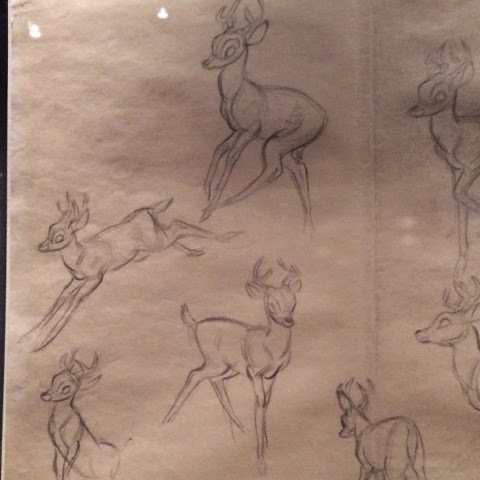 The original drawings from Bambi and Pinocchio. 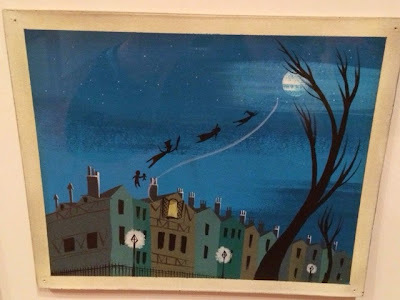 Many animations are running on loop within different areas of the display, and this part could be fun for younger kids to watch while parents read and listen to more educational content. 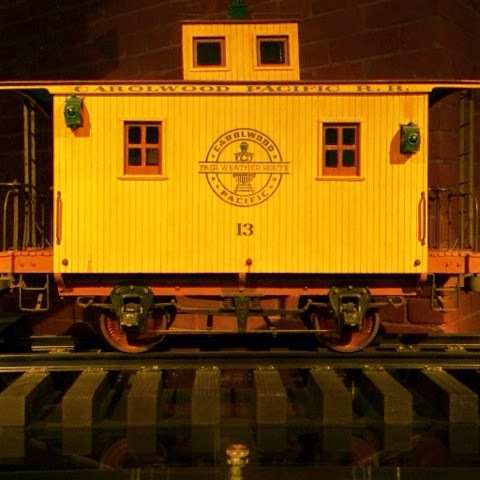 An entire room is dedicated to Disney World, Epcot, and items Walt had in his home, such as a miniature train that circled his house. There are lots of surprises, and even a section dedicated to the artist's strikes that happened when animators felt overworked and underpaid. It is not all about Disney himself, and you get to see the art of many artists who worked for Disney and did background art, concept drawings and color. There is definitely an appreciation for all the artists involved and an overwhelming sense of teamwork that each movie production required. Concept art for "Lady and the Tramp"
In an adjacent building, behind the main museum, you can see the Mary Blair exhibit on two floors, which shares her work while at Disney and after she left Disney to create her solo career as an Children's Book Illustrator and Designer. 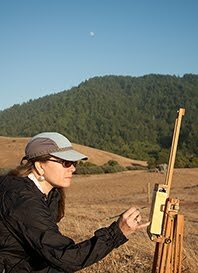 Mary's primary medium was opaque watercolors. Her skill at watercolor painting is remarkable, and many of the pieces in this exhibit do not look like the final product of a Disney film. 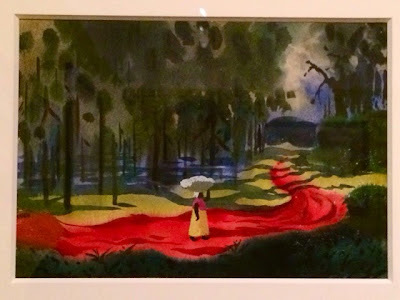 This is the "concept art", which was not always used by the animators, and you will see notes about how Walt was not happy when this happened. For example, a gorgeous painting of a woman in the south US that Mary did was in no way used in "Song of the South". 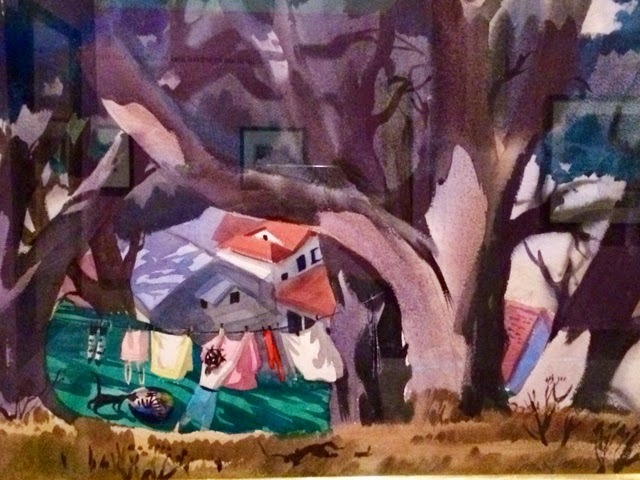 Mary Blair opaque watercolor concept art for 1952 "The Little House"
*In the Presido - not Montgomery Street downtown. Use zipcode 94129 in GPS.